FRIDAY’S FLASH WRITING PROMPT: WHAT COULD’VE HAPPENED? 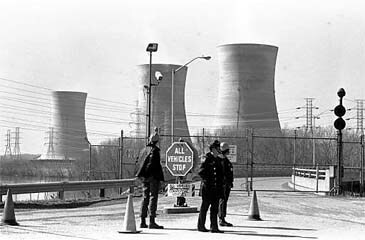 On March 28, 1979, a partial meltdown of a nuclear reactor at the Three Mile Island plant near Middletown, Pa., released a small amount of radiation, but caused no serious injuries. It was America’s worst commercial nuclear accident. My friend Renee Young DeCamillas came up with the idea to write a piece of flash fiction every Friday. It turned out to work well for my own writing, so I figured it could work for you too. Take a few minutes and write a piece of flash fiction about the picture above and/or the little piece of history. Sometimes our writerly brains need a little bit of time at the end of each week to write for fun. Have a good time. Don’t worry where your writing takes you. Dare to be free.